Disclaimer: I am not a canine fan. I do own a Volkswagen. I do not own a Woofwagen. Okay, so… dew things go together as well as Volkswagens and dog-lovers. 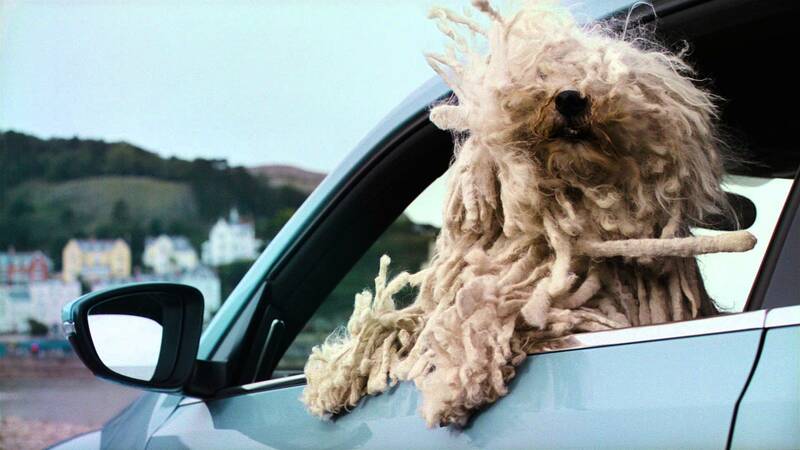 Well, it finally seems that Volkswagen has picked up on this social trend: for their new ad campaign in the UK, the German automaker is rolling out 36 dogs – each one embodying a different Volkswagen model. The canine and 4 wheel campaign by adam&eveDDB was rolled out during the October 19th episode of The X-Factor, with four five-second teaser videos followed by a one-minute spot. The campaign’s focal point, however, is a website that displays all of Volkswagen’s cars – or rather, their respective dog avatars. Users can compare cars by looking at the canines that supposedly embody the aesthetic character of each car. This campaign is a clever and effective way to tap into a demographic that, by all anecdotal accounts, already loves Volkswagens: the hip, urban dog owner. It may not be the most scientifically accurate advertisement (though admittedly, the Touareg does have a vague resemblance to a St. Bernard), but it does suggest a quietly convincing bit of ad logic: dog owners love their canines whether they’re big or small, shaggy or sleek. Volkswagen seems to be hoping that they’ll feel the same way about their mid-size sedans. Yes, I am an enigma. So true! Your style of writing is absolutely powerful. Awesome , your post is really awesome..